Bryan Kaenrath, a former state legislator from southern Maine who has been working as a real estate agent in Bangor, has been tapped to become the next town manager of Gouldsboro. GOULDSBORO, Maine — A former state legislator from southern Maine who has been working as a real estate agent in Bangor has been tapped to become the next local town manager. Bryan Kaenrath is expected to take over Monday, Aug. 3 for departing Town Manager Eve Wilkinson. Friday was Wilkinson’s last day as a Gouldsboro employee after working at the town office for approximately 25 years. Wilkinson has been Gouldsboro’s town manager for the past eight eight years and served as its town clerk for more than 15 years prior to that. She served as interim town manager after Linda Pagels left for a job in Calais in 2002 and then became the long-term manager after Brad Vassey’s departure in 2007. Wilkinson said she currently has no “grand plans” to travel or to take a job elsewhere. She said she and her husband, Steve, will continue to live in Gouldsboro. Kaenrath served in the Legislature from 2006 through 2014, representing part of South Portland in the House. Since being termed out, he has been working for ERA Dawson real estate in Bangor, but said he has been interested in getting back into public service. 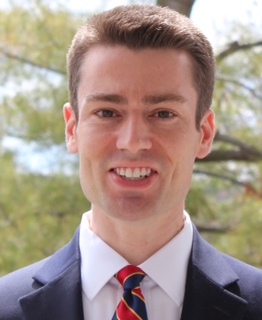 Kaenrath said last week that he studied political science as an undergrad at University of Maine, where he graduated in 2006, and has done graduate course work in public administration. Currently, he said, he is pursuing a master’s degree in government through an online program at Johns Hopkins University. “When the opportunity presented itself, it seemed like a good fit,” Kaenrath said of the advertised town manager opening in Gouldsboro. He said Wilkinson will be on call to assist or answer questions for him during the transition. Kaenrath, who said he does not have a family “yet,” indicated that he plans to relocate to the Schoodic peninsula but, for the time being, will commute to the local village of Prospect Harbor from Bangor.